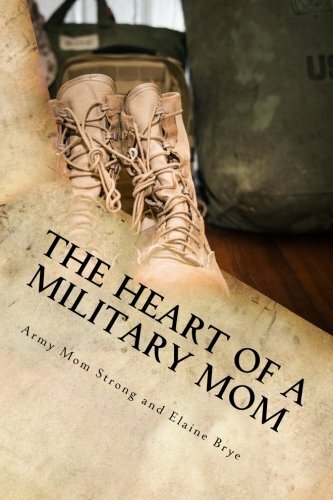 I am thrilled to announce the release of “The Heart of a Military Mom.” Army Mom Strong and I wrote this book to help encourage you as you let go of your child to military service. We understand the stress and worry when our children are in difficult places or in harm’s way. We have learned how to stand strong despite these difficult situations. We have combined our efforts to create a powerful, emotional and inspirational pictorial book of encouragement and support for military moms of all branches – Army, Air Force, Marines, Navy, and Coast Guard. As veteran military moms, we have supported many moms through the challenges that come with sending a child into harm’s way. “The Heart of a Military Mom” gives you valuable insights to help you to stand strong in the face of fear and on the home front. It is the first in a series of supportive books to inspire you to create a more fulfilling journey as a military mom.